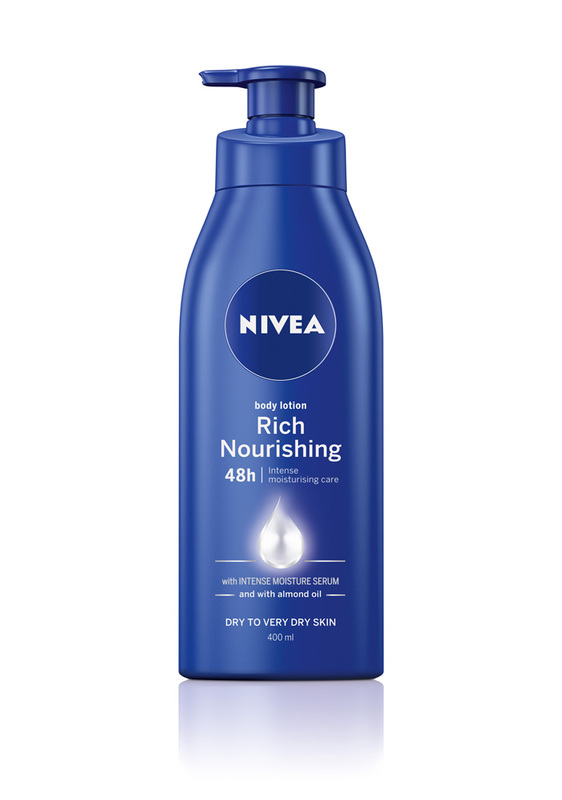 NIVEA Rich Nourishing Body Lotion is a body lotion that delivers intense moisture to dry and very dry skin. It contains a blend of caring ingredients in a creamy formula that is easily absorbed by the skin to help it look and feel healthy, soft and smooth. 75mL Retailer Stockists: Woolworths, IGA, Chemist Warehouse, Discount Department Stores & Selected Pharmacies. Fabulous on legs after shaving. After struggling for many years to find a moisturiser or lotion that I could use on my legs immediately after shaving that did not irritate my skin or cause pimples, I found this one. Yes it is thick, and it is very creamy and so it is made for Dry Skin (which mine is) especially so after shaving. However, if you don't enjoy rich moisturisers, then probably give this one a miss. However, if you do enjoy them, then do try this one. I like to give myself a pedicure and foot scrub, then apply a thick layer of this and put on a pair of cotton socks for a few hours or even overnight in Winter ... the next day my feet feel and look wonderful! Mix a little in with fake tanning lotion and I find it applies more evenly for me. This moisturiser is quite thick and creamy. It moisturises really well and has quite a nice inoffensive scent. I use it all over my body, and with consistent use notices it really leaves my skin soft and supple. It can often be found on sale and comes in a range of sizes which is handy for travel. As this one is quick thick I use it in the winter opt for the lighter creams in the warmer months. Highly recommend. Moisturise all over an exfoliated body, for soft soft skin. Anyone with dry skin or needs an extra boost of hydration during the cooler months. This moisturiser is quite thick and sticky, I found it difficult to spread over the body. It is very highly fragranced as well, if you are sensitive to perfumes in products, then this one will make your eyes water. The label claims this moisturiser will hydrate your skin for 48 hours, but I found my skin was dry again after about 12 hours. If you have dry, sensitive skin, then I would not recommend this product, there are better ones out there. Best applied on warm, damp skin straight out of the shower, this will help you distribute the product on your body. People who can tolerate highly fragranced products. Absolutely amazing moisturizer, extra thick and creamy and easy to rub in. This moisturizer is my go-to post shave and shower, ensures the legs are moist and soft. I love this moisturiser all year round, but it is particularly great during winter when my skin drys out. The scent is pleasant, not overpowering and fairly unisex. My boyfriend also likes to use this moisturiser for his dry, scaly hands and fingers because its scent is so subtle. Would highly recommend particularly for the price. Definitely one of the better daily moisturisers on the market. Dry, scaly skin and post-shower use. I have moderately dry skin on my body and I find that the cream is nourishing without feeling heavy.  The cream is a bit thick, but I find that it absorbs into my skin quite quickly and leaves a slight sheen. I enjoy the scent; initially upon application it is stronger but dissipates after a short while. It leaves my skin smooth and moisturised without being sticky or greasy, and lasts for the entire day. I think it's great, especially for the price. I enjoy the packaging; the pump makes it quick and easy to use. Use right after a shower. I love Nivea products, and in particular the Rich Nourishing Body Lotion. I love trying new products (which is why I have a closet full of cosmetics) and especially love trying different creams and body lotions. But I always find myself coming back to this one. I have found so far that no other lotion is quite as rich. It is pretty thick, but absorbs into my skin beautifully, leaving it looking hydrated and soft. I love the scent, it is very fresh and clean. My legs are always so dry, but Nivea always solves that problem. I bought this in a travel size for taking on a work trip. While the bottle was nice an compact, I found the cream just a bit too thick. It is more difficult to work into the skin compared to other moisturisers and leaves the skin feeling a bit greasy and heavy. It also has a strong fragrance, which, while not unpleasant, reminded me of sunscreen, so I found it not an ideal scent for after my shower and before bed. I had a sachet sample of Nivea's body lotion which I took away with me on holidays recently and was looking forward to try it along with the Nivea creme face wash. It's been some years since I'd used Nivea cream in a tub so was curious about the other products in the Nivea range. I have dry skin and need a good hydrating body lotion to moisturise daily after showering. I found this to be of creamy consistency and was probably thicker your average lotion which makes it perfect for dry skin. For very dry skin, I'd probably recommend something more heavier and of a cream texture instead. I found that it did hydrate on contact however I'm not too sure of the long term benefits and didn't find any change in how moisturised my skin was. Overall a good affordable moisturiser but nothing really impressive. This is good for winter when your skin gets dry. I wouldn't use it in summer. its very rich and very hard to rub in. It reminds me of a thick suncream. I got it at half price and will persist because it works....but only for winter. If you had very dry skin this would suit you. In winter I find my skin drys out alot from the hot showers and I get quite itchy because of this.... l tried this and its def working better than when I tried other creams and coconut oil. This product is exactly as it states. RICH and NOURISHING. It is thick in consistency and is quite hard to spread and rub in. I feel like after using it I am super sticky for ages as I can never quite get it to fully rub in. If you have dry skin this is definitely for you. Personally I only use it once or twice a week as I hate the sticky feeling after, but it definitely does what it states to do. I have Eczema and very Dry Skin, So since i was very young, my after shower routine is a must. After showering my skin is very very dry, especially in winter. So i have to moisturize, every time, without a doubt! I have used other moisturizers over time, but after trying this for the first time, it quickly became my favorite. I always get the bottle with the pump as it is easiest for a all over moisturize. The cream is thick and very white. it goes on very easy, great coverage. it goes on a little oily, but absorbs into my skin in no time and i cannot even notice it. I have bottles of this is nearly every room, in my car, my work car. I will even use this on my one year old daughter. The price point of the product is really good, it is really affordable and comes in a big bottle with a pump. However, I am not sure I personally like the texture or the product. I have very dry and sensitive skin and I find the product being on the thicker side, yet does not feel very hydrating. For me, it tends to sit on the skin. If I apply more of it, my skin tend to become greasy and sticky. It feels slightly uncomfortable to use even during the colder months. Because of the thick texture, it seems slightly hard to spread on the skin and does not really melt well onto the skin. Aside from that, I am also not a big fan of the scent. It does linger for a little before dissipating away. However, if you like thicker body creams, it might be for you. I did try using it when my skin is damp and it works better. However, I still don't think that it is very moisturising, despite being designed as a rich nourishing body moisturiser. People who prefer thicker cream body moisturiser. The Nivea Rich Nourishing Body Lotion is a standby product in my home. I have a 400ml bottle in the kitchen next to the sink and one in the bathroom for use after showers. I have a very dry skin and this seems to work for me especially on my legs which can get dry and scaly. The price is great, $7.99 for 400 ml ,very good value and as both my husband and I use it I found that it lasts quite a while. As the cream is thick and very creamy you only use a little and it goes a long way. The smell is good not too heavy and the addition of almond oil gives it a lift. My skin feels hydrated after use and its helps with my scaly skin and rough patches on my legs. My husbands uses it after gardening on his hands and after washing up sometimes too. A big tick for this product. everyone but great for dry skin. Nivea nourishing body lotion has that beautiful fragrance all Nivea products have.It has a rich texture which it makes it perfect to use in the winter time when my skin becomes really dry.It gets absorbed quickly and it leaves my skin incredibly soft and so fresh. I do not use it in the summer time , it feels bit sticky , I prefer other products that are lighter. It is also affordable, great quality for the price you pay. Dry skin , winter time. A subtle fragrance matched with almond oil properties, leaves my skin feeling nourished and smelling pleasant. My skin at the end feels soft but slightly greasy. The product comes wrapped with an easy to pump, leaving you with no need to exert extra effort in tipping and tapping for the product to come out. It is tall and thin; and thus, stands solidly on your beside table without taking up too much space. I used this moisturiser on my face and body. Initially I liked the consistency of creme and smell was nice too. When used on my body, my skin felt hydrated and my 'dry patches' started to disappear. When I used it on my face and hands, it did hydrate my skin but I felt the consistency for these areas wasn't right, it felt too heavy and left a greasy look. My face did break out quite bad when I used it. I still use it on my arms, legs, back, stomach but only a small amount, otherwise I feel to greasy. I wouldn't recommend for face. I have been using the Nivea Body Cream most my life. I have moderately dry skin and Nivea is the best. Not only does it keep my skin moistured all day long, it also gives my skin a beautiful sheen without the oiliness. The traditional scent that has always been with Nivea since I was a little girl is so beautiful and not overpowering like other brands. I love it and highly recommend it! I brought this product when it was half price. My previous experience with Nivea has always been good, so I was looking forward to trying this moisturiser. I found that it was very thick in consistency & rather hard to apply. Because of this I used a lot more of the product than usual. But the results were worth it. My skin was very moisturised & soft feeling. I also tried it on my cracked heels. I was amazed at how quickly they became smooth & soft. Probably a bit thick & heavy for summer but will certainly keep using it on my feet all year round. Because less time in the bathroom means more time at the beach! The advice and products that'll keep him looking and feeling fine. Our Nivea expert makes understanding UV rays easy and gives us the lowdown on preventing premature ageing and minimising pre-existing wrinkles. We're all going on a summer holiday… no more working for a day or two! Wait! What does this mean for our favourite beauty bits?